Join me tonight at 9PM as I welcome anthropologist Gina Ulysse to discuss her new book "Why Haiti Needs New Narratives." Dr. Ulysse will be reading from the book on Saturday at the Brooklyn Public Library. Find out more here. On tonight's show she and I will chat it up on the mainstream U.S. press' handling of Ati Max Beauvoir's recent passing, including the pervasive use of the word V O O D O O to designate Vodou. Dr. Ulysse is one of many academics who have fought for the Library of Congress to stop the use of that spelling of the word given its association with Hollywood fantasies and racist caricatures of Haitians' ancestral spirituality. We will also discuss Dr. Ulysse's recent pieces on racism in the Unites States and the #BlackLivesMatter movement for the blog Africa is a Country. I also hope to talk about her choice to and the process of publishing her book in French, English and Kreyòl, all languages spoken by Haitians. Dr. Ulysse is Professor of Anthropology at Wesleyan University. 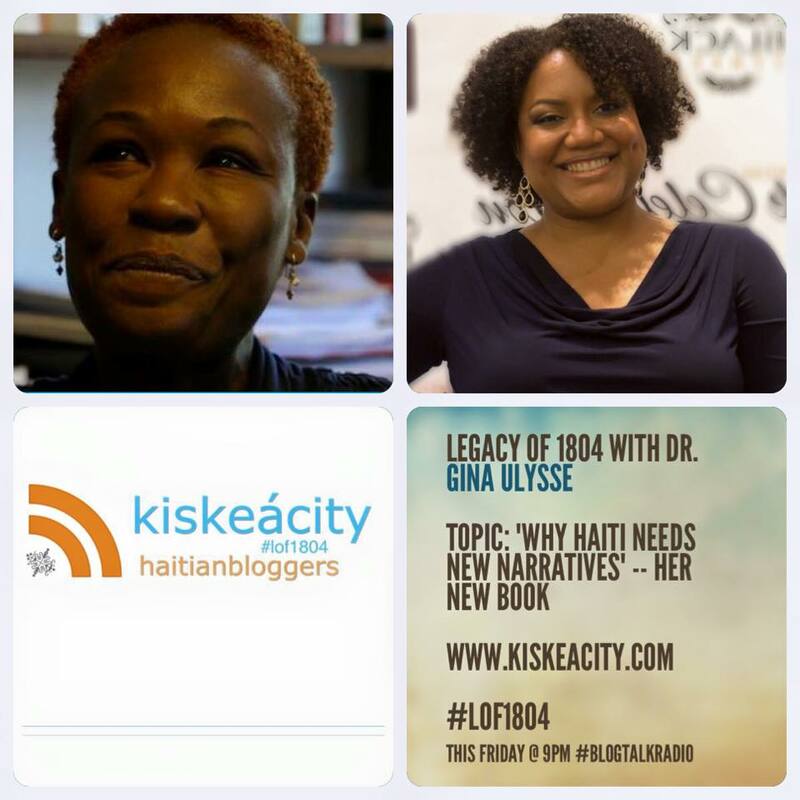 Listen live or archived at http://www.blogtalkradio.com/pancaribbean/2015/09/19/legacy-of-1804-with-dr-gina-ulysse-haiti-lof1804-1. Or listen LIVE on the phone: (714) 242-6119.